Taking a B2B website to the next level. 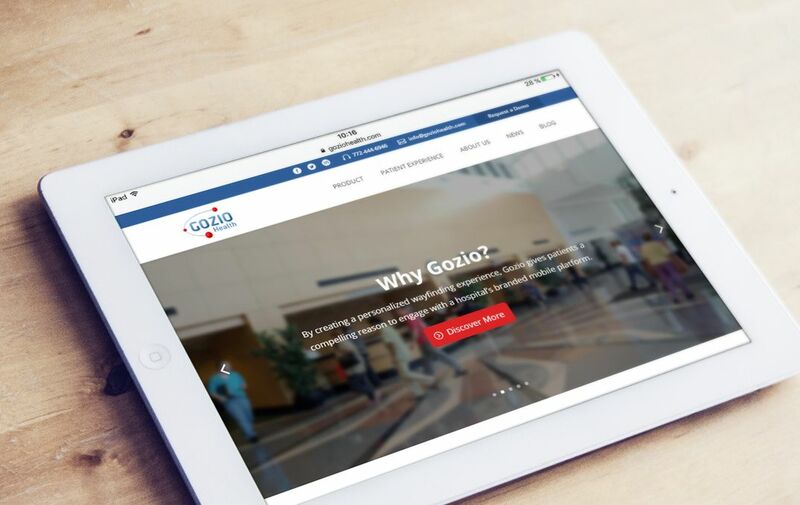 Gozio assists hospitals with the adoption of mobile technology by delivering the best end-user experience. 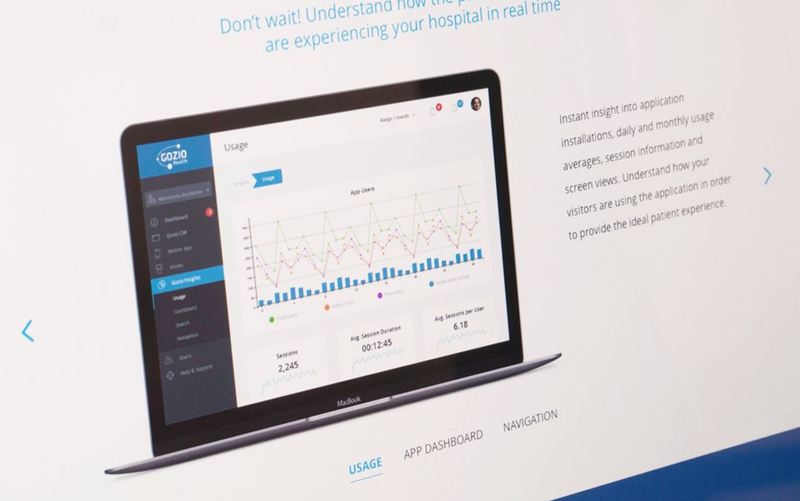 The patent-pending wayfinding platform serves as the front end of a hospital’s entire mobile strategy with step-by-step, real time navigation and information that gives patients and visitors a compelling reason to engage with the assurance of never getting lost. 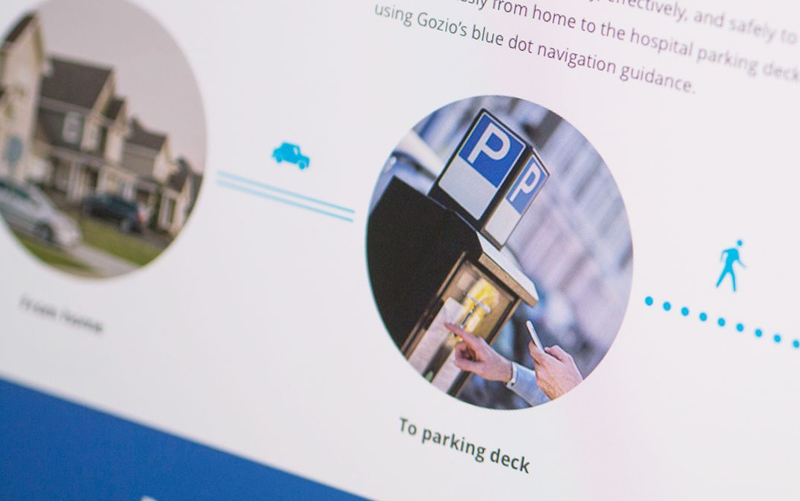 We worked closely with the team at Gozio to design and develop their marketing website. 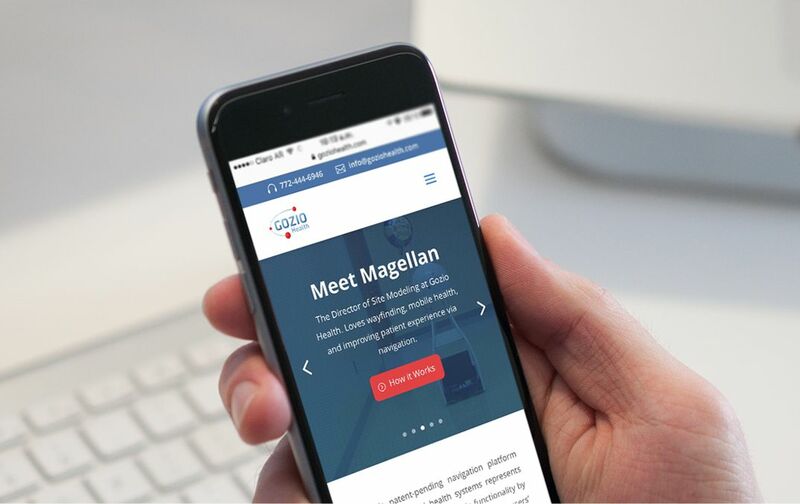 We took the opportunity to strategically redefine the brand identity across the new website and marketing materials, maintaining a common visual language. 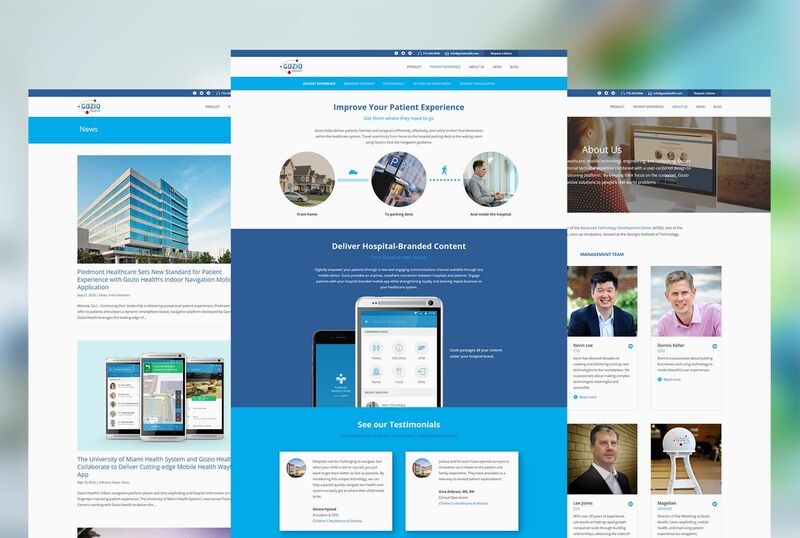 Interactive HTML5 animations were created for the website to explain how the platform works and how the complex implementation process of the solution is. These animations were also adapted for the mobile version of the website. Custom templates were designed in WordPress for specific pages, improving navigation and user experience for special and complex content. The website has a unique look and feel that helps Gozio stand out on the market and is visually consistent with the whole brand. Designing a portal to engage members and increase wellness. Evolving an identity for a health testing company. © 2000-2019 Kaleida S.A. & Kaleida Ltda. All rights reserved. Trademarks and contents are copyright of their respective owners. © 2017 Kaleida* Interactive Agency. Trademarks and contents are copyright of their respective owners.